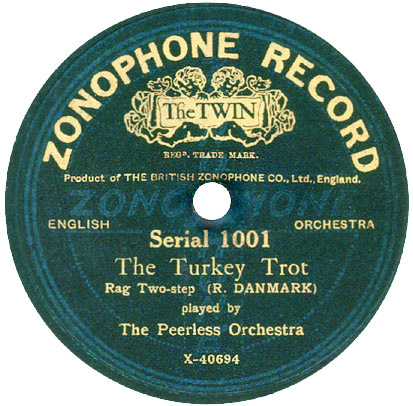 Discographical data are from the original Gramophone Company files, courtesy of Dr. Alan Kelly. If you’ve ever wondered how those circular dealer ads ended up on the inner rims of 78s, here’s the answer (from The Talking Machine World for November 1922) — the Impresad. In our admittedly very informal survey, these stamps seem to turn up most often on Brunswick, which also had its main office on South Wabash, just three blocks away from W. H. Wade. 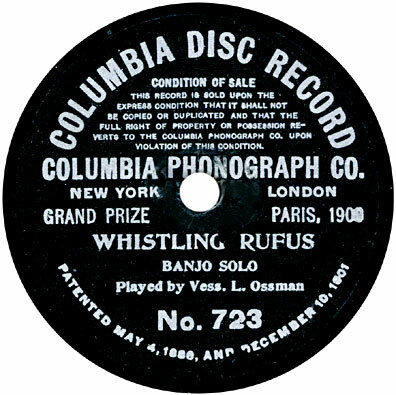 The the device was handled in Canada by the Musical Merchandise Sales Co., Brunswick’s Canadian distributor, and there’s even an uncanny resemblance between the two company’s logos. 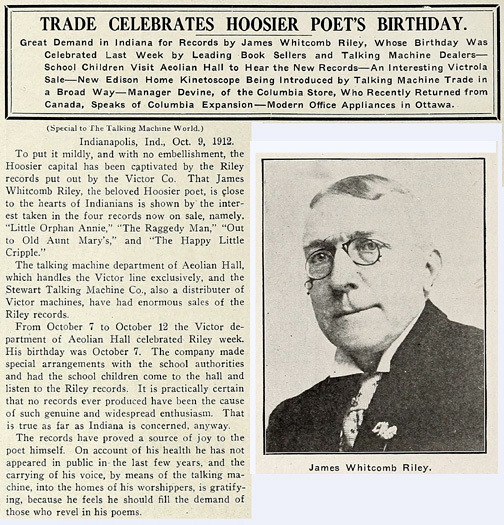 .“April 29th  —I journeyed to Indianapolis, Indiana, with the instructions to make records of some poems by the author, James Whitcomb Riley (the Hoosier Poet). On my arrival at Indianapolis, I got in telephone communication with Mr. Riley at his home on Lockerbie Street, a very quaint and unassuming street just one block long. He asked me to come out to see him that we might talk over the problems of making records. Upon my arrival at Mr. Riley’s home I was very sad to see him almost an invalid, after having an attack of paralysis, affecting his entire right side, and, naturally, leaving him in a very weak condition. 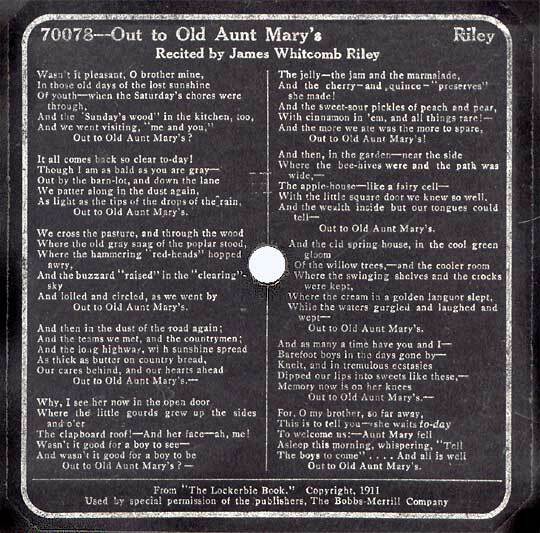 “After some discussion by the Company over these finished records of Mr. Riley’s, he was informed they did not have commercial value owing to their lack of volume. Mr. Riley then requested having me come out again to Indianapolis to try again, so I was instructed to make over the records in June. This time I took Mrs. Sooy along with me. After our arrival at Indianapolis, we secured quarters in the Claypole Hotel, and found Mr. Riley somewhat improved in health, and determined to make good. “I, on this trip, persuaded Mr. Riley to come to the hotel to make the records. The second engagement of recording started June 7, 1912 [note: the Victor ledgers show June 5] and continued 8th, 9th and 10th—p.m. only, as Mr. Riley had his automobile ride habitually every morning for recreation. And, while we were there on the trip, he would stop regularly at the hotel and insist that Mrs. Sooy and I accompany him on these automobile trips.